James Baldwin would have turned 88 yesterday, and like I said about Nelson Mandela who very recently had his 94th birthday, James Baldwin is also one of those people who gives me goosebumps. Even before I was as conscious as I am now about how important race relations are to me, I was drawn to the passion of James’ voice, whether on the page, or on screen speaking about his feelings about race in America during the civil rights era. I find it interesting that when James Baldwin moved to Paris in 1948, after author Richard Wright helped him get a fellowship to go abroad, Baldwin discovered getting distance from the states gave him the space, perspective, and desire to write about life there. I don’t want to sound grandiose, as if I could compare myself to James Baldwin, but I know that it was my move from New York City to Tulsa, Oklahoma (see my About page) that gave me perspective on how important connecting with the black community was to me, because when I first got to Tulsa, that connection which I took for granted, was sorely missing. I know I read Go Tell It On The Mountain, Giovanni’s Room, and The Fire Next Time years ago. The books were ahead of their time for speaking on topics of interracial relationships, homosexuality, and for being the critical voice that exposed the truth of racism and what life was like for black people in America during the Civil Rights years. Unfortunately, and I don’t know if you suffer from the same thing, but I have what I call “book reader’s amnesia” which means I completely forget a book’s content if I’ve read it over five years ago. I suppose my book amnesia can be a good thing. 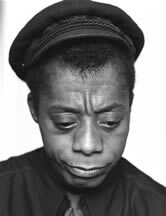 Now, that I am more consciously connected with my passion for race relations, I want to reread all of Mr. Baldwin’s books, and especially look forward to reading, The Fire Next Time, since I read that the purpose of the book was to educate white people on what it meant to be black, and for white people to view themselves through the eyes of the black community. Most of all, for me, James’ passion + brilliant writing = truth, and that’s something that makes life beautiful. So, Happy Birthday, Mr. James Baldwin. Thank you for all of your contributions to both the literary world, and the work of the civil rights movement.